In places like the United States, you can walk into any bank and fill out an application for a loan to buy a car or start a business. You can start a savings account and keep your money in a safe place (maybe even make money from the interest). You can carry a piece of plastic in your pocket and, if it’s stolen, you just have to make a phone call to keep your money safe. There are many places in the world where that this is a completely foreign concept. According to The World Bank, 2.5 billion people—over 1/3 of the world’s population—are unbanked. That means they are unable to access basic financial services. When you think of ending global poverty, you most likely think that means that everyone has the essentials—nutritious food, clean water, and safe shelter—but many leaders in the fight against global poverty would add financial inclusion to this list. Jim Yong Kim, President of The World Bank, has an interesting piece on this topic. Financial services give individuals the chance to make their dreams realities. It creates economic stability to communities and limits financial risks for families. It’s an essential part of development. When Nyaka began working with grandmothers in rural Uganda, we realized that many of these women had great ideas for businesses or had already started businesses, but they lacked the capital to make it successful. We saw that these women were smart, capable, and ready for an opportunity, but they had no support. 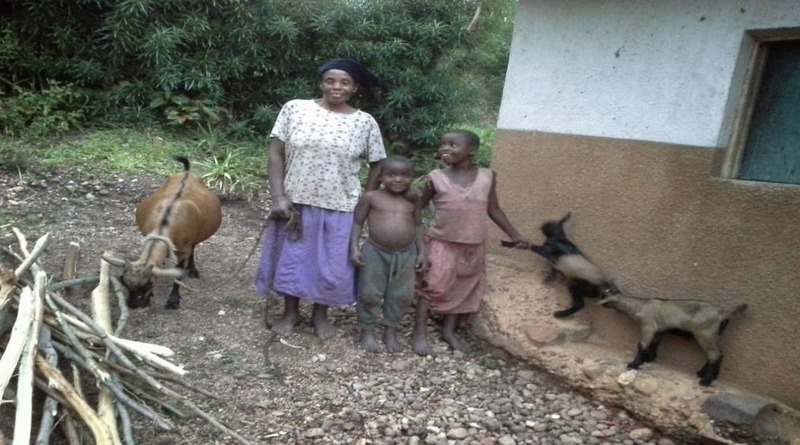 In 2008, Nyaka began to offer Micro-finance loans to grandmothers through their Granny Groups. Every year Nyaka gives a pool of money to each group and the grandmothers vote to determine who will receive loans that year. This simple program has saved the lives of struggling women, improved their standing in the community, and giving women freedom from extreme poverty. 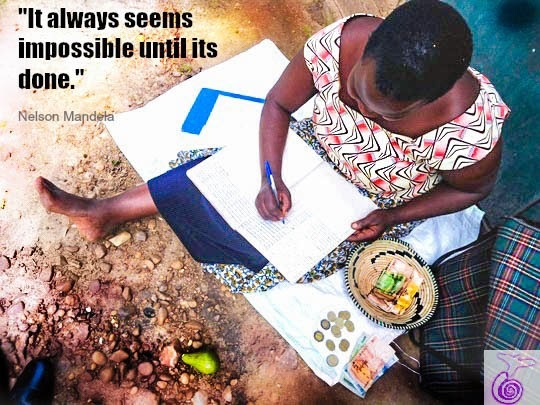 Micro-finance is just one way nonprofits like Nyaka provide financial services to the unbanked, but it’s very effective. Mauda was one of the first grandmothers to receive a loan from her Granny Group. Before her loan, she was in a desperate situation. She had taken in her 2 grandchildren after the death of their mother and her son disappeared shortly after, leaving her with no support. Mauda received a loan from her Granny Group for $20. She took that money and started a goat herding business. Now that business gives her the financial freedom to support her family. March 8th is International Women's Day. In honor of this day, why not empower a woman like Mauda to care for her family? Give a life-changing gift to help your grandmothers today! I took this photo in the nursery classroom at Nyaka Primary School. The child in this photo is a vibrant little boy. Like many of his classmates, he smiles and loves to have his picture taken. His eyes light up when his teacher is giving a lesson--they all do. I've never seen children so excited to learn before. I loved watching them do their classwork, especially the nursery students, because they worked so hard. The memory of thirty yellow pencils scribbling with such concentrated intensity to write their names still overwhelms my heart. This photo was a candid picture when he was coming back into the classroom. I didn't even really think about it much at the time. But, when I looked through my photos later, this photo stopped me. I was struck by how beautiful this little boy was. He looked like a little angel. I might have teared up a bit. Then I made things much worse for myself because I started to think about his mother. I thought about how she must have held him before she died. She knew that she only had a short time before she wouldn't be able to protect him anymore. I thought about the special kind of grief a parent must feel when they know they are about to leave their child. And I thought about how she must have hoped that someone would see her little boy--her precious gift--the way she did. Please love my son. Keep him safe. Give him what I can't. Because of your support, this little boy and his classmates are being given just that. We talk a lot about how special you are to your students and grandmothers but the people who are most grateful for you will never be able to tell you. So please let me say it for them. I hope you feel the full weight of the daily miracles you are making happen. 2970 E Lake Lansing Rd. For general inquiries, please email info@nyakaschool.org.